Doctor Who: Series 8, Christmas special and more just commissioned...Geronimo! But way before that hits our screens we have a huge amount to look forward to. Your calendars should already have a big red circle around 23 November because that’s when the TARDIS returns in the frankly Earth-shattering adventure that celebrates half a century of Doctor Who. This 3D special stars Matt Smith and Jenna Coleman with David Tennant and John Hurt, seen briefly at the end of The Name of the Doctor. Billie Piper returns alongside Jemma Redgrave, Joanna Page… and the Zygons! If you can’t wait until then you can see special videos about the special – filming at the Tower of London and in Trafalgar Square. Also, a new gallery for the 50th plus a news item on the cast. Later this year the BBC also premieres An Adventure in Space and Time, the brilliant drama written by Mark Gatiss that looks at the genesis of Doctor Who. If this video location report is anything to go by, we’re in for a memorable insight into the show’s origins. And given that this year’s Christmas Special will be rounding off such a spectacular year we’re sure it will kick off the Doctor’s next half century in style! But that’s not all. Big plans are being put in place that will well and truly celebrate the Doctor’s half-centenary. Make sure you check back for some exciting announcements! 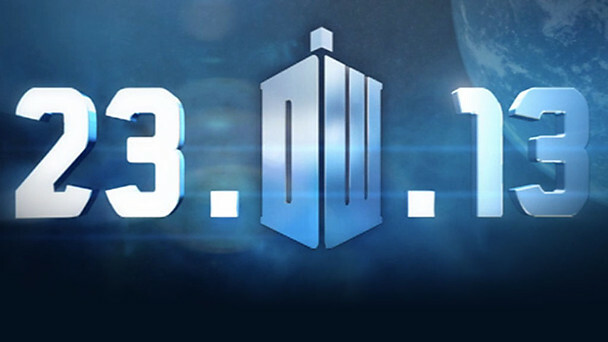 In the meantime, the Doctor Who site will be updating regularly, bringing you the latest news, videos and much more. No-one should ever have to go a day without watching Doctor Who and you don’t need to! Check out the clips section where you’ll find a wealth of great moments from the show’s first 50 years. And if you fancy finding out more about the earliest Doctors, now’s your chance with A Beginner’s Guide to the Doctors. Finally, don’t forget, you can stay one step ahead by following me on twitter @danwainman AND the official Doctor Who twitter @bbcdoctorwho.